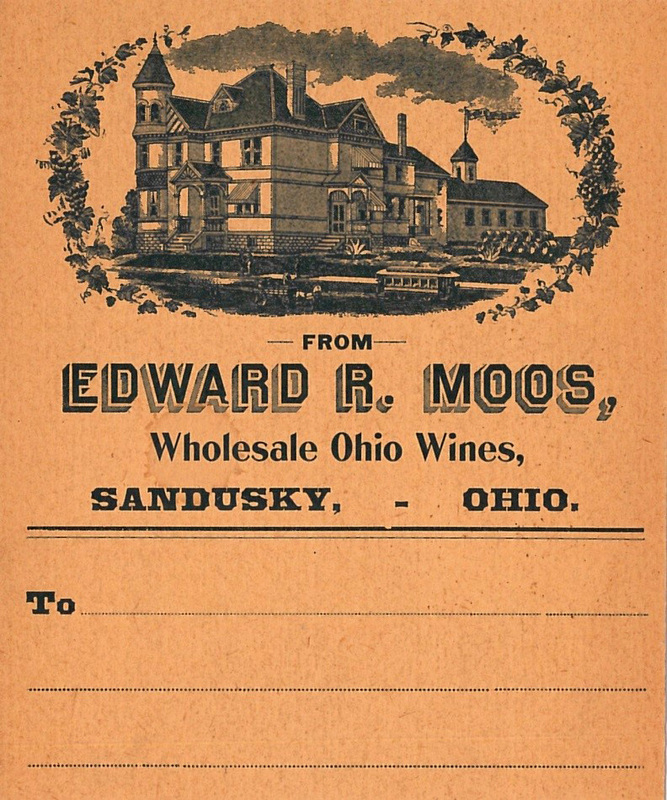 The former home and business of Edward R. Moos is featured on the wine label pictured above. 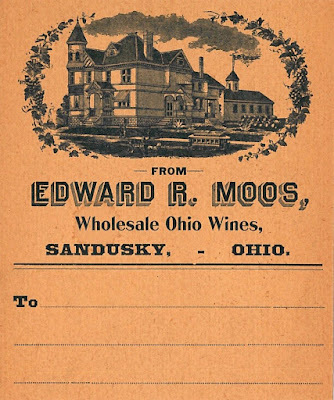 Edward R. Moos was a pioneer wine merchant in Sandusky, having taken over the business from his father, Adam Moos, in 1876. 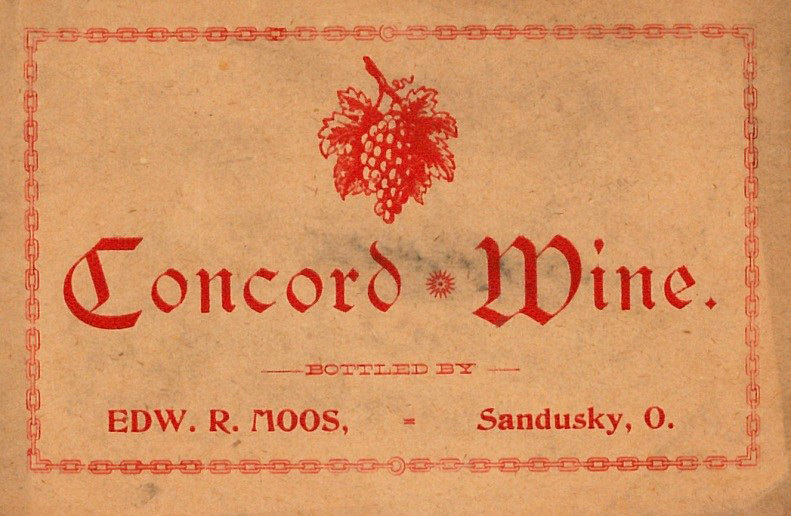 A listing in the 1882 Sandusky City Directory states that Edward R. Moos was a grower of and wholesale dealer in pure native wines. 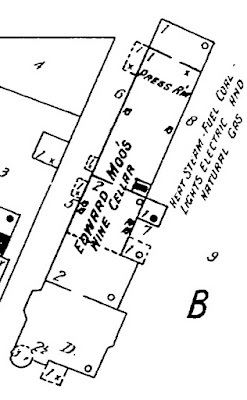 The 1905 Sanborn Map shows the Moos residence at what was then 508 Hayes Avenue, which is also where Mr. Moos had his wine cellar and press room. 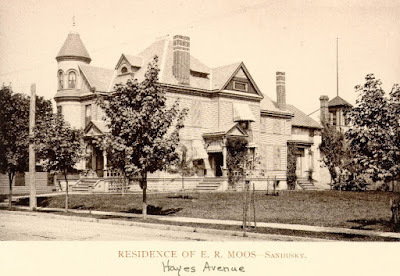 After 1915, the address became 1408 Hayes Avenue. According to the History of Erie County, Ohio, ed. 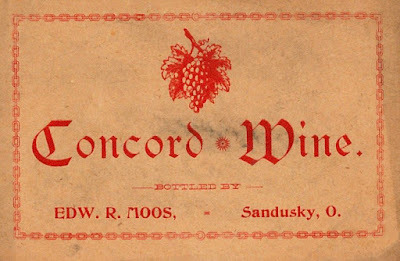 by Lewis Cass Aldrich, (D. Mason and Co., 1889), the Edward R. Moos Winery produced thirty thousand gallons of red and white dry wines each year. The limestone wine cellar was twenty-six by sixty-four feet. Mr. Moos was a traveling salesman for his wine, covering a territory that spanned from Detroit to New York. 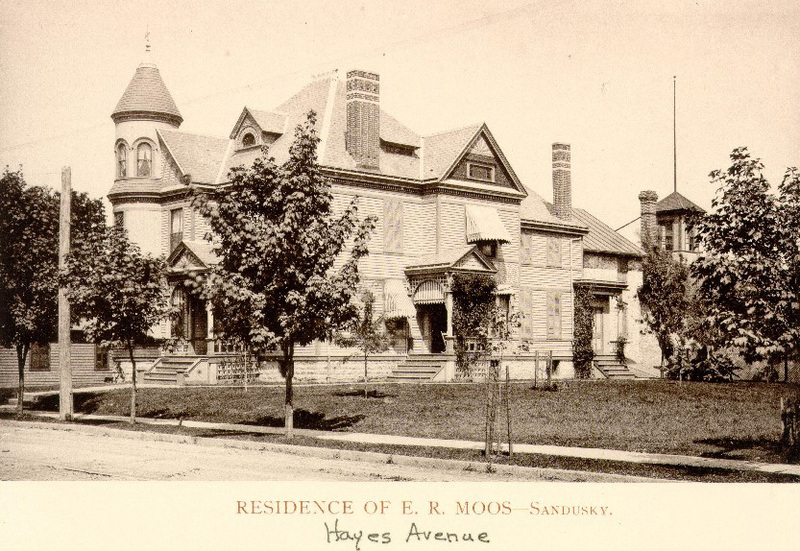 The original home of Edward R. Moos featured a tower on the northernmost part of the house and leaded glass windows decorated with ornamental grapes in the living room, which faced Hayes Avenue. This image of the house was published in the book Art Work of Huron and Erie Counties, (W.H. 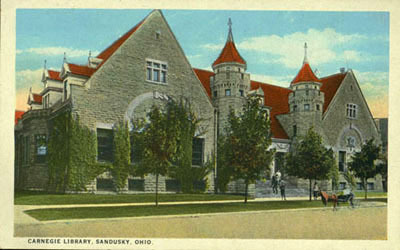 Parish, 1894). 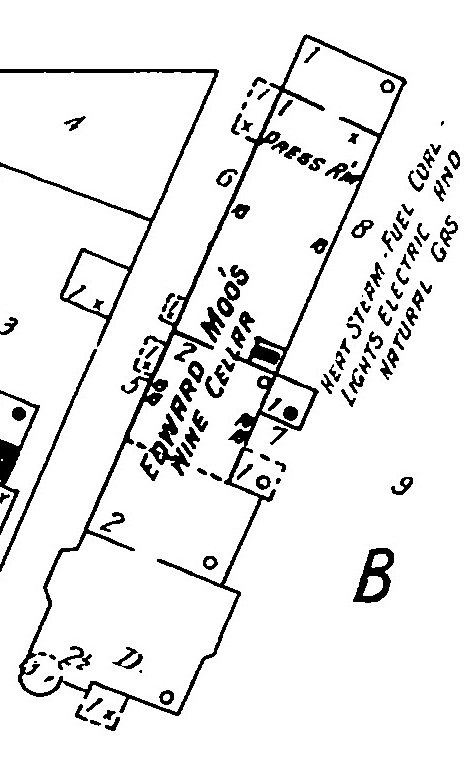 Edward R. Moos retired from the wine business in 1918. He passed away on April 30, 1944 at the age of 88. He was survived by three daughters, eight grandchildren, and six great grandchildren. His wife, the former Antoinette Schnaitter, preceded him in death in 1936. The building that once was the home and business of Edward R. Moos still stands, and is now an apartment building.